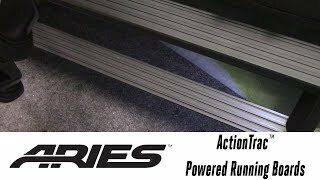 Come inside the Performance Corner® garage as we take you through the installation of some of today’s hottest truck accessories In this episode, we welcome Keith Gehrke from ARIES to the garage and we install their ActionTrac™ Powered Running Boards on a 2019 Jeep JL. Want to check out more about ARIES? WARNING: This product can expose you to chemicals including Di(2-ethylhexyl) phthalate; which is known to the State of California to cause cancer; and Di-n-butyl phthalate; which is known to the State of California to cause birth defects or other reproductive harm. For more information go to www.P65Warnings.ca.gov.